If you think your memory may be fading, Omega fatty acids may help you stop memory loss. It is a cruel scientific fact that our brains start to slow down after the age of 40, and we inevitably begin to have some degree of memory loss. In fact, up to 17 percent of people over 65 will end up with some form of mild cognitive impairment, such as occasional difficulties with concentration, finding the correct word, focusing and remembering where we have put the car keys! Episodes of feeling grumpy, miserable, or anxious are extremely common in middle-aged persons, too. The unfortunate truth is that between six and 15 percent of patients who meet the criteria of “mild cognitive impairment” will eventually develop full dementia. It is frightening to accept that aging means a loss of cognitive thinking and the power to remember. What is a Brain Fog and what causes it? The brain relies on a complex symphony of chemicals to keep the mood stable and to function properly—if you disturb that balance, you can become depressed, unable to sleep and become too anxious to concentrate properly. • Serotonin helps you feel calm, optimistic and self-confident. • Dopamine is responsible for making you feel excited, motivated and energized. • Cortisol, the stress hormone, helps to rev up your energy into high gear when you need it. Many of the factors that cause brain fog are better understood today. The individual can decrease the risk by incorporating some lifestyle changes. New research suggests that brain fog may be reversible. How we eat, sleep, work and live has a profound effect on our learning ability and our ability to retain information. One of the main recent discoveries is that Omega-3 fatty acids are the best fats to incorporate into the diet. In fact, the membranes of the neurons of the brain and spinal cord are made up of omega-3 fatty acids. And, omega-3s have been shown to reduce inflammation which we now know is key to warding off depression, staying sharp, and managing stress and anxiety. You can take charge of your brain health in as little as two weeks if you remove the blocks that keep you stuck and give your brain the materials it needs to operate effectively. Studies show that some memory loss may be restored with regular intake of omega-3s. According to Dr. Morten Brine, a Cardiologist, Scientific advisor, and Lecturer in the field of therapeutic use of Omega-3 fatty acids. Brain health is perhaps the most important category for current Omega-3 fatty acid research. 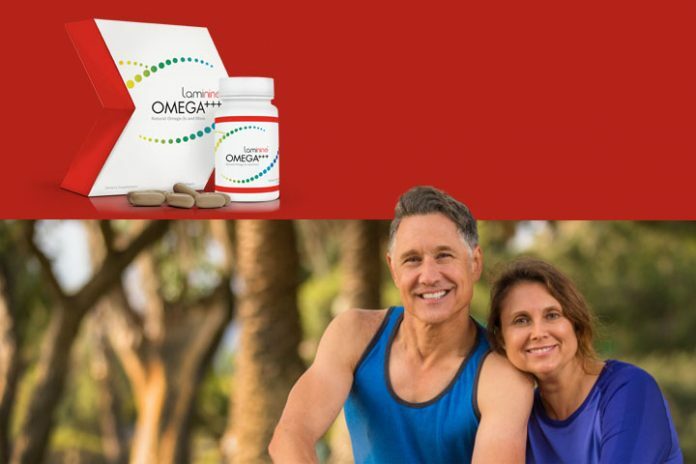 We know that brain cell membranes are saturated with the marine (fish) Omega-3 fatty acid DHA, which has different local functions. DHA prevents the development of amyloid formation. DHA prevents the development of amyloid formation. Amyloid formation refers to the clogs in your brain cells and their pathways that are seen in patients with Alzheimer’s disease. A small subset of one clinical studies of 32 subjects with mild cognitive dysfunction who consumed Omega-3s, showed a significant reduction in memory decline. A separate study on fish oil supplementation for 12 months in 18 elderly subjects, showed significant improvement in short-term and working memory, immediate verbal memory, and delayed recall capability. Fish oil was well tolerated. It is important to realize that severe memory dysfunction cannot be reversed, but if measures are taken, some memory decline can be diverted. 2. Lee KL, Shahar S, Chin AV, et al. Docosahexaenoic acid-concentrated fish oil supplementation in subjects with mild cognitive impairment (MCI): A twelve month randomized double blind, placebo-controlled trial. Psychopharmacology, 2013;225:605-12. 4. Pilar Lavielle, Juan O. Talavera, Nancy Reynoso, Marissa González, Rita A. Gómez-Díaz, Miguel Cruz, Felipe Vázquez, Niels H. Wacher. Prevalence of Cognitive Impairment in Recently Diagnosed Type 2 Diabetes Patients: Are Chronic Inflammatory Diseases Responsible for Cognitive Decline? DIMSS Study Group, BMC Complement Altern Med. 2015; 15: 239.
behaviors and modulates lipid profiles in rats exposed to chronic unpredictable mild stress. BMC Complement Altern Med. 2015; 15: 239.